We started out the year learning about Ayurvedic cooking, starting with a chicken stew served with a multi-colored (mostly dark) quinoa. The Ayurvedic cooking concept is historically from the Indian subcontinent and teaches health according to body type and season. 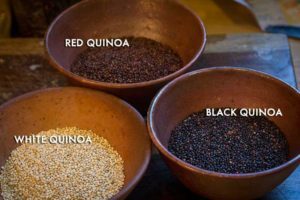 We talked about seasons and the fact that in the dark days of winter, eating dark grains (dark quinoa, brown rice, black rice) is healthy for our bodies, while lighter grains and vegetables are more ideal in spring and summer. Also important to remember is the fact that warm food is better for our bodies in the winter. It makes so much sense. Quinoa is a healthy high fiber whole grain, considered to be a superfood, packed with 14% protein and many important vitamins as well as anti-inflammatory qualities. It is super easy to cook and will keep for a few days so that you can add different vegetables or meats for a complete meal. We cooked the quinoa with fennel seeds, also a warming spice, perfect for this time of year. We used the multi-colored quinoa. 1. Wash the quinoa in water once or twice and pour through a strainer to rinse. 2. Optional: after washing, soak the quinoa for 5 minutes, then drain. 3. We sauteéd our quinoa in about a tablespoon of olive oil on low heat. I find that this method creates a delicious nutty flavor, but is not necessary. Add the fennel seeds with the sauteéd quinoa or in the water. If you cook the quinoa with the oil, saute on low heat until quinoa is glistening in the oil, then add the water … or you can simply put 2 cups of water in a saucepan and when it boils add the quinoa. 2. Turn heat down and simmer for 15 minutes, or until fluffy. We made a chicken stew with root vegetables and canned tomatoes we found in the Grey Bears cooler which were seasonally timely. 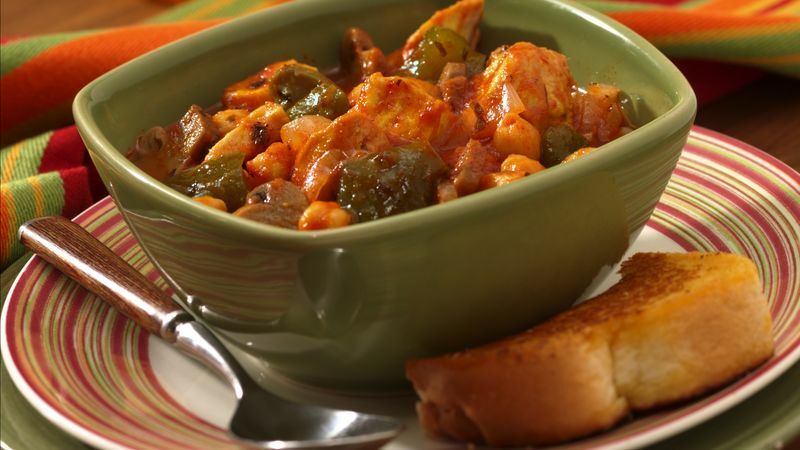 I rarely follow recipes with stew, as it is a conglomerate of everything I can find or everything that is available. And it doesn’t make a difference if there are more carrots than potatoes, or more chicken than anything. Root vegetables contain lots of natural sugars, so the stew was sweet. I used my Grandmother’s dutch oven so that I could sauté the chicken as well as add the vegetables, herbs and chicken stock and “stew” everything together. We also did a little magic in the back ovens so that there was plenty of stew for the whole gang at Grey Bears. I haven’t tried this combination of ingredients, so this is one of my lessons for cooking in general. Use what you have! fresh thyme, salt and freshly ground pepper.